"Combines phonics and word recognition, making sounds and letters recognizable. Highly recommended." --(starred) School Library Journal. Dr. Seuss's first children's book, And To Think That I Saw It On Mulberry Street, hit the market in 1937, and the world of children's literature was changed forever! In 1957, Seuss's The Cat in the Hat became the prototype for one of Random House's best- selling series, Beginner Books. This popular series combined engaging stories with outrageous illustrations and playful sounds to teach basic reading skills. Winner of the Pulitzer Prize in 1984 and three Academy Awards, Seuss was the author and illustrator of 44 children's books, some of which have been made into audiocassettes, animated television specials, and videos for children of all ages. 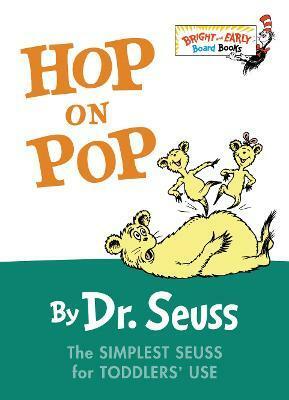 Even after his death in 1991, Dr. Seuss continues to be the best-selling author of children's books in the world. From the Hardcover Library Binding edition.